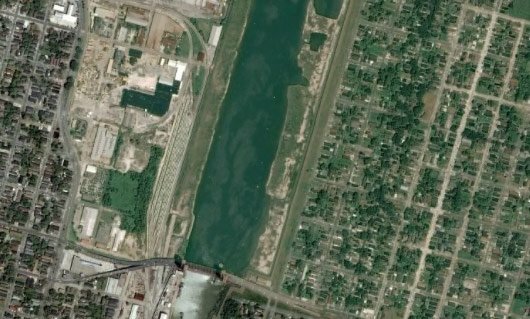 Google has moved with something approaching lightning speed to replace images of New Orleans on Google Earth which had apparently airbrushed the effects of hurricane Katrina from history. The good burghers of the Big Easy were none too happy with a recent Google Earth and Google Maps update replacing previous candid images of the city's destruction. This piece of apparent skullduggery prompted Ruston Henry, president of the economic development association in the city's Lower 9th Ward, to decry: "Come on. Just put in big bold this: 'Google, don't pull the wool over the world's eyes. Let the truth shine'." Henry added: "Is Google part of the conspiracy? Why these images of pre-Katrina? Seems mighty curious."